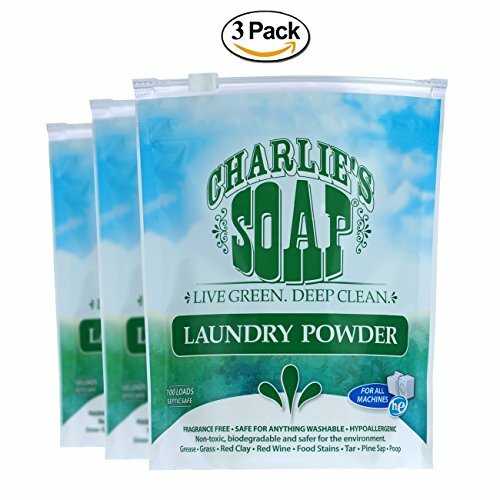 3 Individual 100 Load pouches of the best laundry powder on the planet! 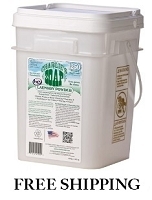 Charlie's Soap provides clean, environmentally friendly power for the best way to clean dirt and grime. 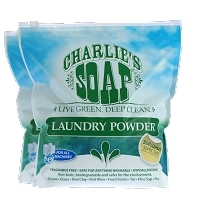 Whether you are washing cloth diapers, or need to clean greasy mechanics coveralls, Charlies Laundry Powder should be your first choice! This is the best laundry detergent on the market and washes completely out leaving nothing but the sweet smell of clean!